What Is Really Happening In Israel?" 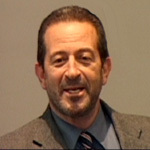 David Silver and his wife Josie moved with their two sons to live and minister in Israel in 1992. From their home in Mt Carmel they minister to those in Israel, the CIS and other countries. David tells us some of the facts about Israel and the situation in Palestine, where we usually only hear lies and half-truths from politicians and in the media. Sometimes even our preachers don’t have a right understanding. You will be challenged in your thinking about the place of Israel in your faith walk. Find out what God is doing in Israel and with Jewish believers.